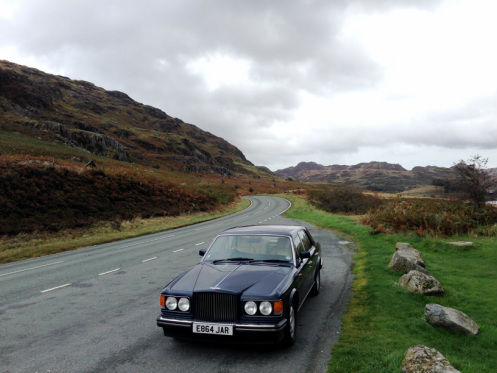 Annual mileage in the Turbo R demonstrates what a practical everyday car this is for a classic. If I didn’t store it during the winter, it’s possible that it could be covering 8,000 or more miles a year. That’s if I could afford the fuel and more than one annual service. 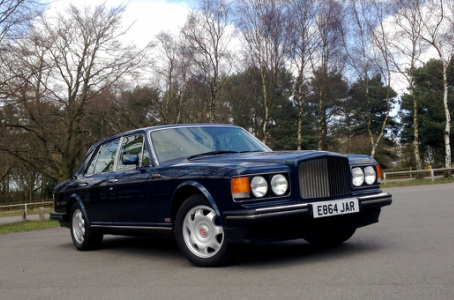 Costs have mounted up this year and although the Bentley has never broken down, a few jobs have been required (gas spheres, drive shaft boots, air-con re-gas, noisy fuel pump). But maintaining the car at this level allows me to decide on a whim that perhaps today I’ll drive to a far-flung part of the country, and a few hours later I’m there. A call out of the blue an hour before a planned drive from the office to Wiltshire for an overnight stay gave me a dilemma. "Your car is ready for collection. Would you like to pick it up?" 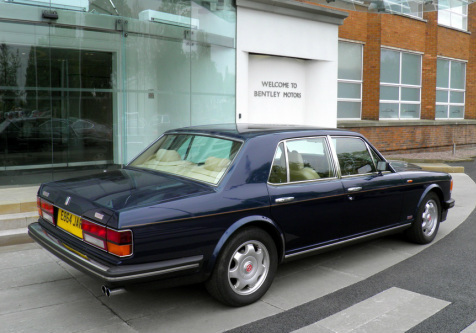 The Bentley had been in the workshop to get to the bottom of the grumbling fuel pump, while the drive shaft boots were also replaced, air conditioning re-gassed and the car was given a fresh MOT. Yes, I've owned it for a year. Would I pick it up and leave it unattended at the office for up to two days or would I take it on a near 400-mile round trip to Warminster? The question was, of course, redundant as I pulled in to refuel. Bentley Sydney, New South Wales, Australia. A customer in reception with a 1965 S3 has a smashed rear window. A cyclist wasn't paying attention and didn't see the car brake suddenly when a pedestrian appeared to step into the road without warning. No lasting harm done to the cyclist, who was wearing a helmet, and evidence of the incident on the Bentley's bodywork is minimal: minor scratches on the boot lid with no metal damage, but that smashed rear window. Just 72 hours later the Bentley driver is contacted with news that the car is ready to collect after a genuine rear screen was fitted. How? A state-of-the-art parts warehouse and dispatch process in Crewe exists purely to solve such problems. Waking up the car at the end of its hibernation always comes with a certain level of trepidation. It’s a tense game of chance that can sometimes result in relief or lead to a money being spent. Rousing the Turbo R after its winter sleep –interrupted only for a weekend blast in early-January – was the same, but so far the results are mixed. The warning light sequence seems more prolonged than usual, but only when starting from cold. It could be time for work on the gas spheres for the suspension, according to the experts who look after my car during the winter (who incidentally would also stand to profit from the work carried out). Winter is too long . . .
With another car to rely on for the day-to-day grind, my classic goes into hibernation each winter. The ritual has become as familiar as the childood Blue Peter episodes every autumn when the tortoises were put away in a cardboard box for a few months. So in the last week of October I reluctantly put the Turbo R into storage expecting to live without it for the next five months, but knowing it was a better idea than being tempted to drive it on salted roads.